Pizza Makers, Italy’s New Endangered Species? “Aromatic, cheesy, delectable…,” words that expressed my first taste of Margherita pizza in Naples. Did I forget to mention unforgettable? Neapolitan pizza could easily be my addiction. Each time I prepare a return visit, I’m dreaming of a pizza feast again. Italy has the edge on the essence of what a pizza was born to be. As it should, since Italy is the mother of this delicious invention. So what’s the problem? As an iconic attraction that has represented Italy in a mouth-watering fashion for years, pizza has lost its luster….to the young Italians, that is. Italian schools today are not preparing students for traditional trades, particularly manual jobs such as pizza makers, tailors, carpenters and electricians. These jobs have lost their prestige among the younger generation of Italians. It has been the foreign pizza makers that have recently helped to keep the traditional pizza making alive in Italy. According to Italy’s Accademia Pizzaioli (Academy of Pizza Makers). * Around 4 in 10 pizza makers in Italy are non-Italian. * At least 100,000 are employed in pizza making plus additional 50,000 on weekends. * Of the total, 65,000 are Italian while approx. 20,000 are from Egypt and 10,000 from Morocco. * Currently, there are some 6,000 vacant pizza-making jobs across the sector. * Italy has an annual average consumption rate of 7.6 kg per person second only to the U.S. with an average of 13 kg. per person. * In Italy, pizza is big business…there are approximately 63,000 pizzerias bringing in some 10 billion euros in yearly revenues. * Daily, Italy churns out 5 million pizzas which total 1 1/2 billion each year, according to Coldiretti, Italy’s largest agricultural association. * Almost half of young Italians are unemployed but few want to make pizzas for a living. As a result, Italy has chosen Neapolitan pizza as its sole candidate for protection under UNESCO’s Intangible Cultural Heritage list for the 2015-2016 cycle. They feel strongly that urgent measures are necessary to keep the art of Neapolitan pizza alive. The Italian National Commission for UNESCO decided to recognize the art of Neapolitan pizza makers in tribute to their culinary skills and their place in the world’s gastronomic traditions. 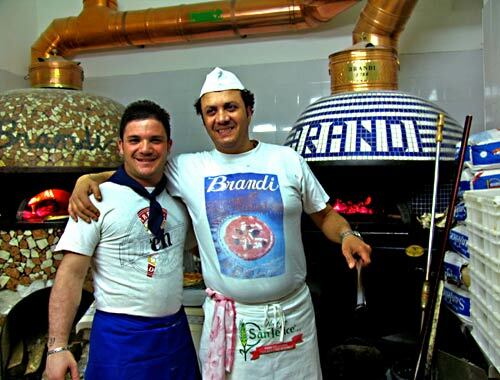 This last March in Naples, Pizza makers at Antica Pizzeria Brandi baked the first Neapolitan ‘DOC’ (controlled designation of origin) pizza intended to be the symbol of the upcoming Expo world fair in Milan. This will be done through the initiative of Coldiretti. The pizza is composed of local traditional specialties which include buffalo mozzarella from Campania, San Marzano tomatoes, Vesuvius cherry tomatoes, and extra virgin olive oil from Sorrento. All of these products are protected under the EU’s system of geographical indications. The Neapolitan pizza has been around for quite a while. 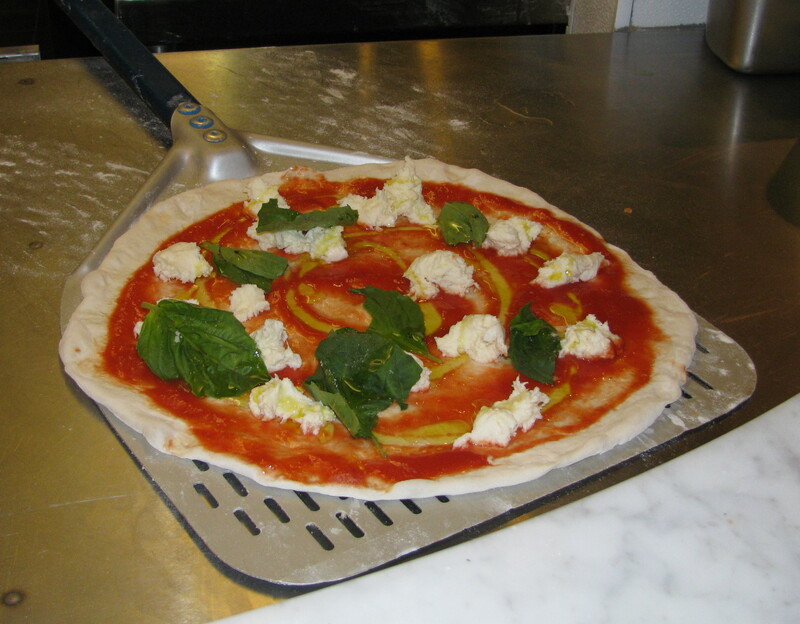 It was invented in Naples between 1715 and 1725, followed by the Margherita pizza in June of 1889. Allegedly, Italy’s iconic Margherita pizza topped with tomato, mozzarella and basil was first created for Margherita of Savoy, Queen consort of the Kingdom of Italy. Characteristics of Neapolitan pizza include dough cooked in wood-burning ovens, with a crunchy but tender consistency of the crust, and by it’s lightly acidic tomato taste, along with the addition of oregano, garlic, basil and fresh mozzarella. The base should be no more than an eighth of an inch thick and cooked between 60 and 90 seconds in a stone oven with an oak-wood fire. 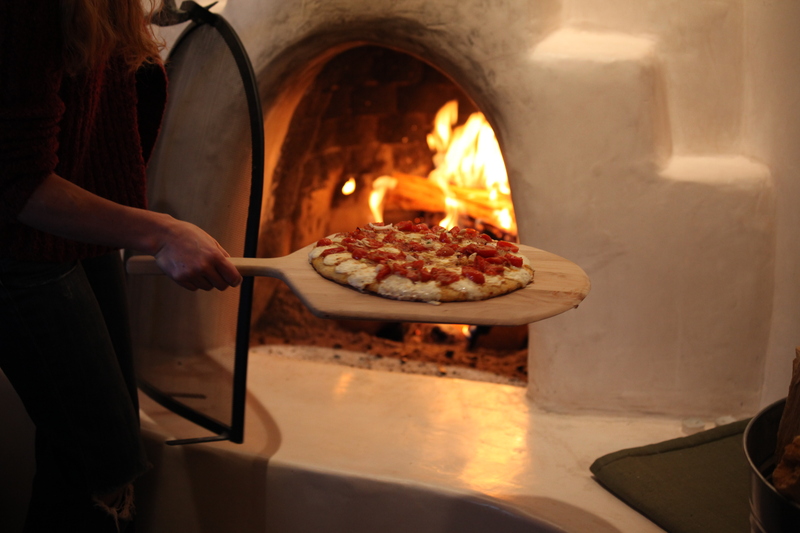 The role of the pizza maker, or pizzaiolo, and the wood-fire oven also contribute to the success of the Neapolitan pizza. The ingredients, red, white and green, were supposedly intended to represent the colors of the Italian flag. Naples is determined to maintain its reputation as the spiritual home of one of the world’s favorite foods. I couldn’t be happier! Do you have any special memories of eating authentic Italian, or Neapolitan pizza? I would love to read your thoughts…..
What a shame! Typical though of youth today. They want to be paid top dollars but not to start work from the bottom. Let’s hope the pizza industry has a revival! Let’s hope not. I was traveling to Italy after my annual trip to London in November for the World Travel Market. Luckily, all of my Pizza experiences, and Susan, I surely share your passion for a fine Neopolitan pizza, From La Spetzie to Cinque Terre, Pisa, Lucca, Bolongna, Venice. Oddly, my favorite Italian Pizzeria & Ristorante is in Venezia. Venezia makes wonderful pizza….not odd at all. Sounds like you had a nice trip…lots of great places! Oh I am so hungry now, I love Italian pizza…but I am so sorry to read these stats. Say it ain’t so Susan!!! I really hope that this wonderful skill doesn’t die out, that would be a tragedy. I have not been to Italy as yet. The nearest I got to was on the other side of Mediterranean, Alexandria, where I spent a couple of years on one of my overseas assignments; I should say I had my fill of margherita in Alex in as authentic flavour as it could probably attain outside Italy. I recall reading an article couple of years back on the issue of shortage of native hands in pizza making, which is a problem confronting other countries as well, in regard to preserving local art forms and cuisine. Perhaps the tourism departments of respective governments must step in to add some glitz, glamour and more lucre to traditional skills so it retains interest as career options for youngsters. It will be a pleasure to touch base with you, Susan, when I visit Italy. Till then, will stay glued to your informative posts…ciao… Raj. I know I am echoing all the above, but the beauty of the genuine Italian pizza is its simplicity. Not for us the tandoori chicken pizza and other weird creations of the ‘new world’ and its chains. Yes, simplicity is a great word to describe the authentic Italian pizza. And it works like a charm….scrumptious! Pizza in the states is notoriously loaded with you name it ingredients. All is good, but there is something supreme about the aroma, texture and taste of a simple margherita pizza. Super informative and very interesting! When I read through your stats, they made a lot of sense yet I had never thought of the industry in that kind of reality. So glad they are working to protect the cultural heritage at least for the Neapolitan style pizzas! I think my favorite so far is the pizza I had in Bari – so light and the flavors were so imaginative. Thank you…once you have tasted an authentic Italian pizza, you never forget it. I just hope the young Italians step up to embrace the importance of keeping the authentic Italian pizza alive and well. No one makes pizza like they do. There is much pride in that! Some years ago my wife and I were waiting for the Circumvesuviana train to depart from Sorrento for Pompeii when we fell into conversation with a tourist couple from New Jersey. 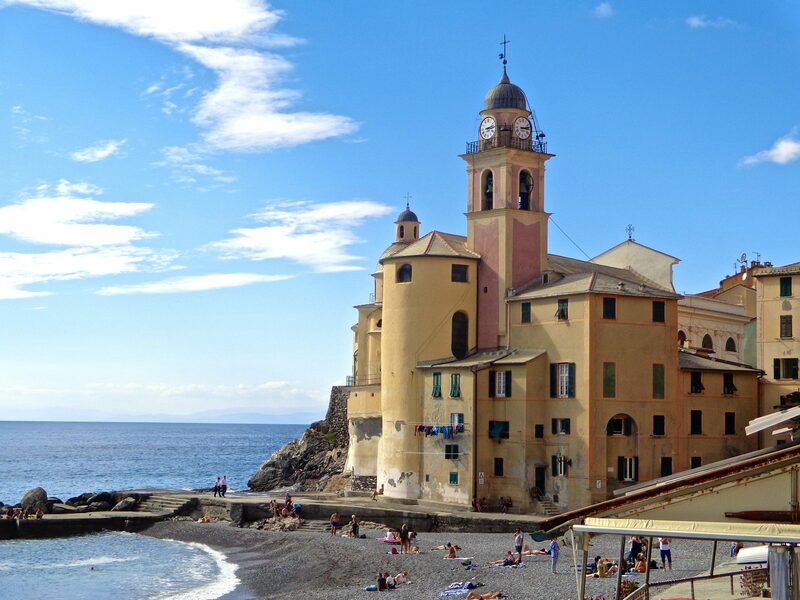 They carried on and on about how “they don’t know how to make a good pizza here in Italy.” They thought their Sorrento pizza had been too thin, with not enough toppings and the wrong kind of cheese. We, of course, had the opposite view, having had a perfectly delightful Margarita the night before as the most recent example. But they couldn’t be convinced and said to look them up next time we were in Newark. Penso di no. Some people hold expectations of how something should be based on what they are used to. This is a shame. I couldn’t wait to taste authentic pizza in Naples. And when I did, I was smitten! To this day I keep looking for the same pizza here in the states but nothing comes close. With each trip back it is one of the things I most look forward to! In this case, it is just as well there are so many foreigners ready to fill the gaps. Turn your head inside a restaurant kitchen in Rome and chances are, the chef is Indian. Most of the carers of the Italian elderly are Chinese. Although many Italians still feel ambivalent about the presence of foreigners, they do the work that young Italians refuse to engage in. I must agree with you…thank you for your perspective. Very similar situation here in the states. As long as they keep the authenticity of the pizza alive and well, it’s fine by me. I am sure they learn from the master pizza makers. Here in Melbourne, we see many young Indians learning to be Pizzaioli by the old Italian capo of the business. Christina, i’m so glad to hear that! I love the idea of Italian pizzaioli with their own apprentices. This is authentic, it is what we all seek. Pizza made this way with from the homeland hands is the very best. I’ll take an authentic Italian pizza over most anything .Thank you for your input. I love this post, Susan! I learned a lot with all the stats! And like you, I love margherita pizza!! Looking forward to some in Naples soon! Margie, wish I could have you Fedex same day delivery to my door from Naples! What a dream…I know you must be getting super excited. Nooooooo!!! We can’t have this happen! Pizza	wouldn’t be the same! I completely agree with you. My initial reaction as well. However, thanks to UNESCO, that famously scrumptious Neapolitan pizza will live on at least. My favourite pizza at the moment is the smoked mozzarella pizza at Obica in Florence. It is perfect in every way. How sad that unemployed young people feel that this type of work is beneath them. The education system needs a good kick in the pants ( and the parents). In Australia most high school students have part time jobs. I have never heard of that happening here. I think it helps to develop a good work ethic. Not everybody can or should be an academic or lawyer. We need people who can build and make things. These jobs need to be more valued. Debra, I couldn’t agree with you more! It is such an important symbol of the Italian way…one of several things that we all thank them for. I think the young Italians in particular need to regain pride in their country. There is honor in being a good authentic pizza maker…ranks high on my list! I love Margherita pizza! The closest I will come to Italy is EPCOT at Walt Disney World. It saddens me to hear the art of pizza making is being lost. Lets hope for the best…with UNESCO supporting the Neapolitan pizza, the art will not die out. I, too, am a Margherita fan! !